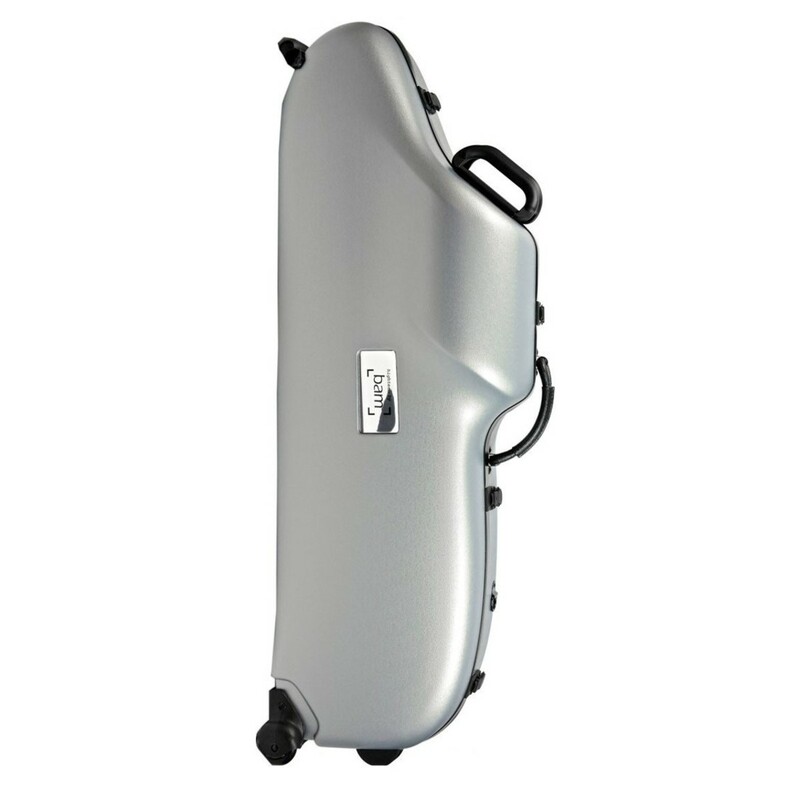 The BAM 3101XL Hightech Traveller Baritone Saxophone Case is a lightweight design providing optimum protection. Fitted with high resilience foam cushions, the saxophone remains suspended inside so it is highly protected against drops and knocks. 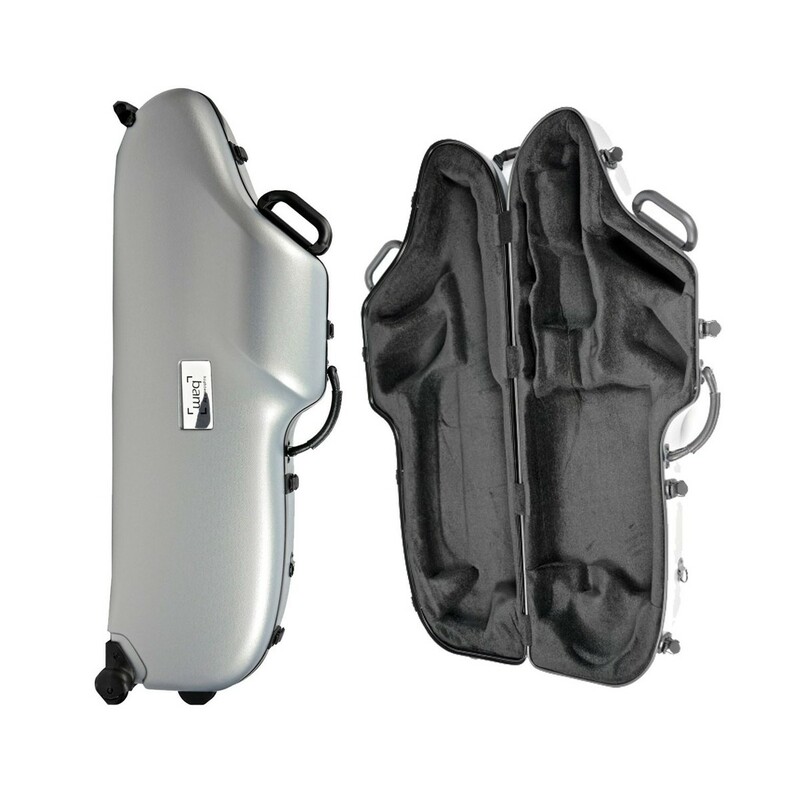 The case comes with built-in wheels and a pulling handle to make transporting your equipment much easier. 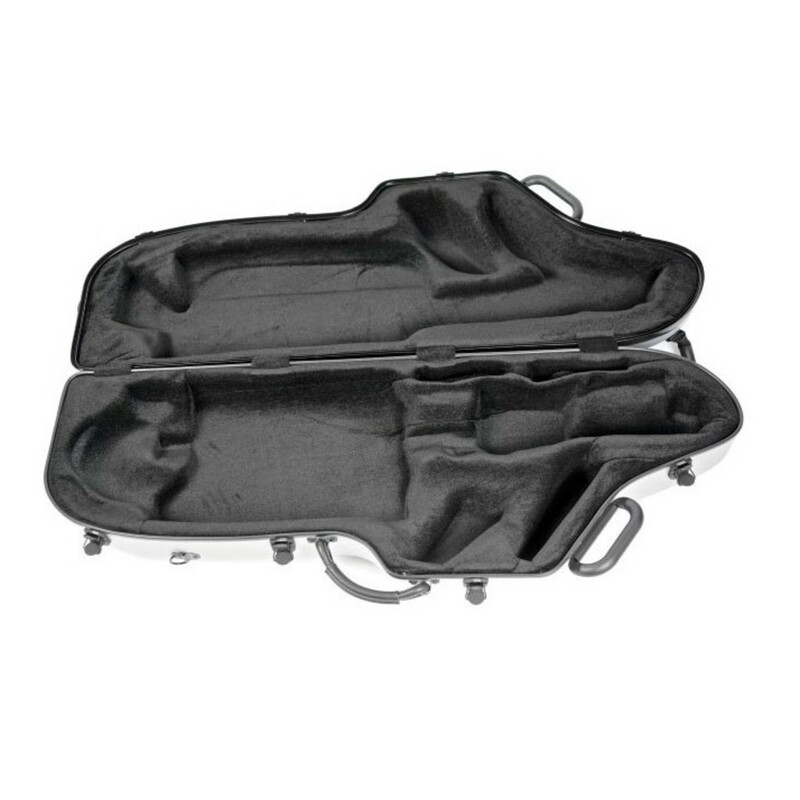 There is a dedicated space for storing the mouthpiece and crook preventing them from damaging anything else in the case or themselves. The 3101XL comes in a stunning metallic silver finish. The outer shell of the whole hightech range is made from a triple-ply structure, made of 2 forms of abs resin, with an Airex foam middle layer. This is all then fixed together using BAM's unique seal, consisting of a PVC Male/Female seal. 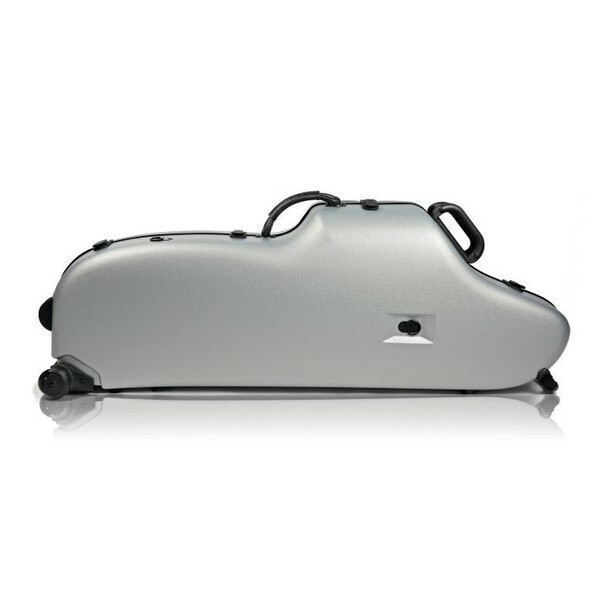 After this the case is shaped under heat, providing rigidity and security. BAM's hightech techniques ensure the instrument is not only safe from scratches, knocks and falls, but it is also highly resistant to temperature and humidity.